Acme Roof Systems has been providing superior residential and commercial roofing services in Lewisville since 1995. Over the years, our company has handled roofing projects for more than 35,000 customers. Our team includes roof installers who have been with us since the company was founded, which means that our customers can rely on having professionals with many years of experience. Our roof installers are also certified applicators for some of the biggest roofing manufacturers in the U.S.
Acme Roof customers have posted online reviews that praise our company for providing dependable services. From customers who needed a new roof to those who needed to have repairs done, these reviews mention how exceptional our services were. At Acme Roof Systems, we take our commitment to high-quality service seriously. We have had an A+ rating from the Better Business Bureau for more than two decades. We also have memberships in several professional organizations, including the North Texas Roofing Contractor Association, the Roofing Contractors Association of Texas and the National Roofing Contractors Association. When you need your roof repaired or replaced, Acme Roof Systems can help. We offer residential roof installation, repairs, replacement and maintenance services for customers in Lewisville. Our other residential services include re-shingling and roof inspections. Our team can ensure that your home is well-protected from the elements with our reliable roofing services. Roofing material is made to last for years, but your home eventually needs a new roof due to wear and tear or damage. 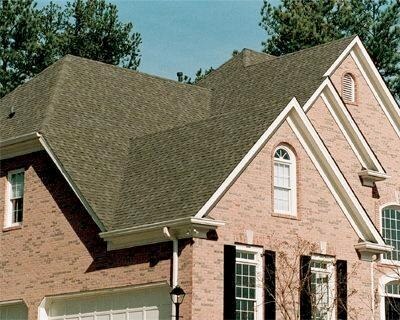 At Acme Roof Systems, we offer roof replacement services in Lewisville for residential customers. We can help you choose a new roof for your home and get it installed with minimal inconvenience to you. Whether you have broken shingles or damaged flashing, it’s important to keep your roof in good shape. Acme Roof Systems provides prompt roof repairs for customers in Lewisville. With our help, you can count on having a roof that keeps your home safe from water and wind damage. Acme Roof Systems provides dependable commercial roofing services in the Lewisville area. From modified bitumen, TPO and metal roof installation to commercial roof repairs, replacements and leak detection, our team can ensure that your building has a roofing system that you can count on. At Acme Roof Systems, we provide industrial roofing services for commercial customers in Lewisville. Our services include TPO, cool roof and modified bitumen commercial roof installation. Our roofing experts can help you select the right industrial roofing for your building. When your home has serious damage, Acme Roof System can provide you with reliable home restoration services in Lewisville. From stucco repairs and window replacements to air conditioning repairs, electrical repairs, insulation and fencing, our team has the equipment and skills to restore your home. If you need more information on our roofing services in Lewisville, please contact Acme Roof Systems. 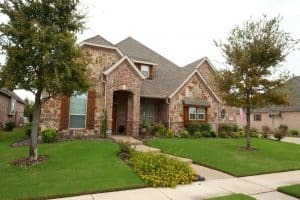 Our services are also available for residential and commercial customers in the surrounding cities, including Carrollton, Farmers Branch, Flower Mound, Grapevine and The Colony.